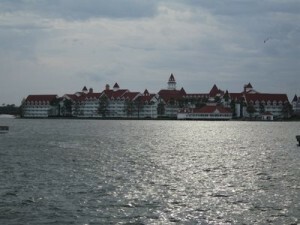 The crown jewel of the Walt Disney Resort is the Grand Floridian Resort and Spa. A Victorian style masterpiece that stands proud along the shores of the Seven Seas Lagoon, The Grand Floridian is a bucket list resort for many families. I recently stayed here for a few nights around Thanksgiving and fell back in love with the Grand. As a very frequent guest to Walt Disney World, I like to stay at different resorts all the time to keep my clients in the know, and stay up to date on the service and quality of each hotel. 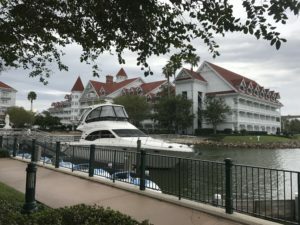 I had not stayed at the Grand in about a year and found it was time to re-visit the queen bee resort! If you are going to plan a trip to stay at the Grand Floridian I suggest you do so around the holidays when the resort shows the best. The decor here is just stunning. 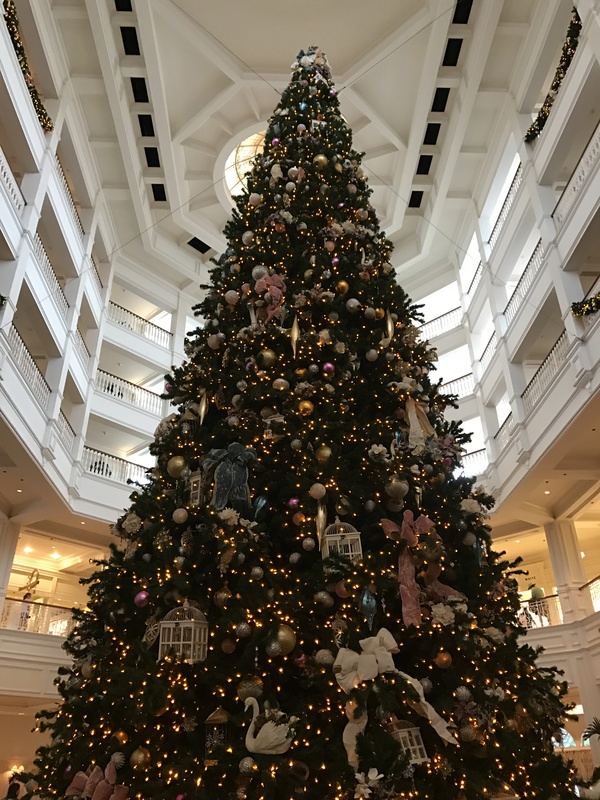 A tree fit for the resort stands tall in the lobby. 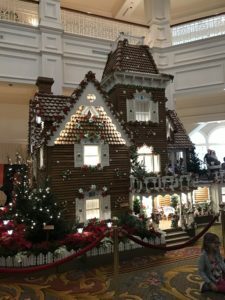 A life sized gingerbread house where gingerbread and cocoa are served up decorates the corner. Garlands, wreaths, poinsettias and even the sweet sounds of holiday music from the live pianist make this a post card come to life. Often, you can get a great room discount at this resort that will save you 20-30% off the cost of the room. When the average cost here is $400-700 per night this is a big savings. This resort also usually has decent availability for offers such as Free Dining and Play, Stay and Dine. Keep in mind, when you book your Walt Disney stay with me, I will monitor for these discounts and apply them immediately upon release where available. With a good discount, this resort is much more attractively priced for most people. Many people feel this resort may be too stuffy for their family. The welcoming staff, fantastic water play area, ease of transportation to and from the parks, great variety of food, and spacious rooms make this a great choice for any family. You will find that it is very easy to feel right at home within the walls of this resort! We do not find this resort to be too stuffy at all and encourage you to give it a try! To book your dream vacation at The Grand or any other Walt Disney Resort please email Jess@pixievacations.com or simply request a quote. 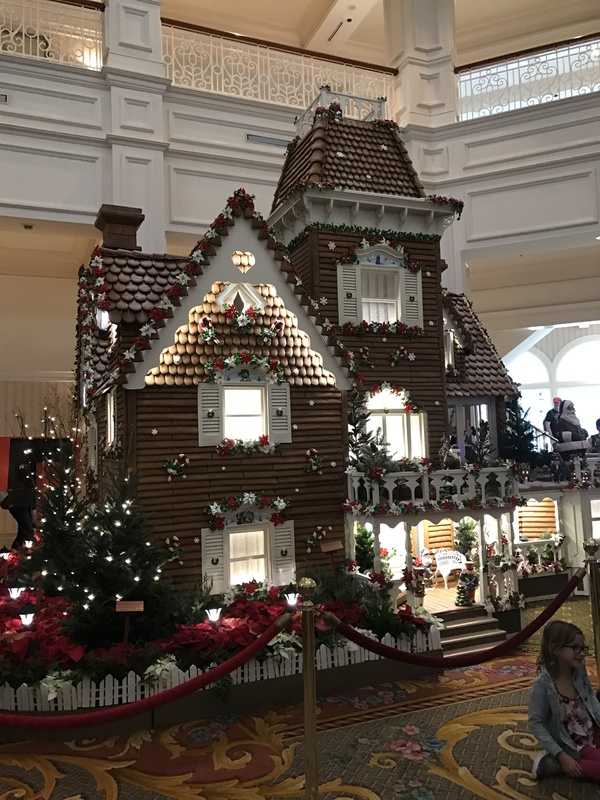 This entry was posted in Uncategorized and tagged Deluxe Resort, grand floridian, holiday decorations, Walt Disney World. Bookmark the permalink. ← Beaches Negril- What does all inclusive actually include?